Kennedy Odede grew up in what is widely known to be Africa’s biggest slum, a poverty-stricken, overcrowded expanse of housing called Kibera in the Kenyan capital of Nairobi. Home to an estimated 1 million people living in a space about the size of Central Park, the unrecognized settlement has no running water, electricity or public schools. But Odede was able to break free — and now his advocacy work in that same slum will feature prominently in tonight’s final episode of the PBS series A Path Appears, set to air tonight. Hosted by journalists Nicholas Kristof and Sheryl WuDunn, alongside a team of celebrity activists and advocates, A Path Appears examines solutions to the violence that women and girls face all over the world. The mini-series is based on Kristof’s and WuDunn’s book of the same name. Odede, whose work will be the focus of tonight’s episode, graduated with honors from Wesleyan University before returning to Kibera and launching a school for girls with his now-wife Jessica Posner Odede in 2009. Together they run Shining Hope for Communities (SHOFCO), a multi-purpose social program that offers schooling, health clinics, clean water, gender-based violence advocacy, economic services and various other resources to the residents of Kibera. All of these programs are run through the girls school, which is the hub of the SHOFCO program. In this episode, actress Mia Farrow and her son Ronan, a journalist, will travel with Kristof to Kibera to join SHOFCO in trying to secure medical attention and demanding justice for two victims of sexual violence. They will meet meet Ida, a four-year-old girl who has been raped by a 12-year-old boy, and a young girl named Flavian, who is unable to walk after being raped repeatedly for many years by her grandfather. 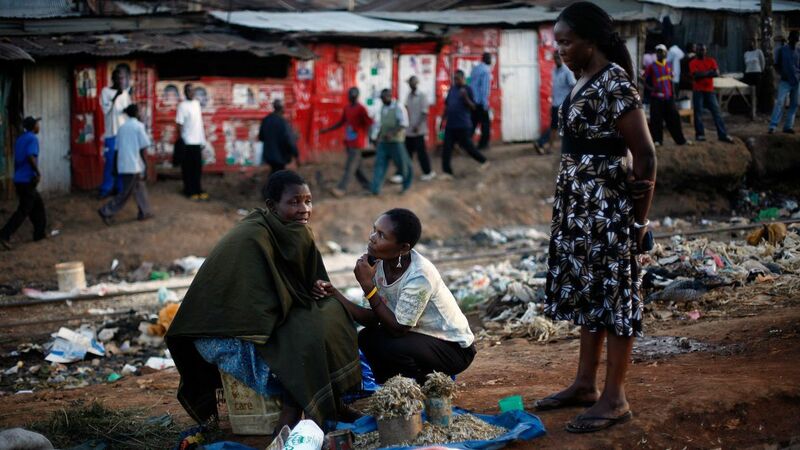 Cases like Ida’s and Flavian’s are all too common in Kibera, Posner Odede told Mashable. According to the teachers, 20% of the girls who attend the school for girls have been raped and 43% of sexually active women living in Kibera say their first sexual encounter was forced. “Despite all the help and everything that is going so well, still, when a student at our school is raped, that is incredibly hard to deal with,” Posner Odede said. The perpetrators of gender-based violence in the slum are seldom held accountable. Posner Odede said police and court officials are often bribed and corruption runs rampant. Even with physical evidence or witnesses, police reports will not be filed, court documents will disappear or trials will be perpetually stalled, she said. That’s why SHOFCO plays the role of advocate for victims by pushing prosecutors to press charges or pressuring police to do their jobs, Posner Odede said. The organization has 55 cases currently in the court system and, now that they have established a relationship, it has become easier to move cases forward, Posner Odede said, but their work has resulted in problems with authorities. When Posner Odede was a student at Wesleyan, she heard about work Odede was already doing in Kibera from a friend and introduced herself over email to ask if she could work with him. After he agreed, she asked if she could move in with him to be more connected to the work. “No way,” Odede told her. He said foreigners never lived in Kibera. She was persistent and eventually she moved into his 10-by-10-foot living space and, somewhere along the way, they fell in love. Posner helped Odede achieve his goal of going to college by lobbying the Wesleyan Admissions office to give him a full scholarship, despite the fact that Odede had no formal schooling. Odede had always had dreams of opening a girls school, so they applied for a $10,000 grant to make it a reality. The pair believed that empowering young girls would provide the foundation for a stronger community, and they built the other services so that they were all based around the school. “As soon as the school was open, I think we saw this tremendous opportunity, and that the school for girls could become a leverage point for information,” Posner Odede said. There’s plenty of research that suggests they may be right. Many studies show that women in poorer countries tend to invest more of their earnings into their family’s well-being than men. And the World Bank estimates that pregnancy-related deaths in Uganda, as measured in lost income, may amount to as much as a 30% of country’s Gross Domestic Product. Posner Odede said the organization has come a long way in the seven years she’s been in Nairobi. Annual household surveys show that those making use of the SHOFCO programs are now more likely to have women involved in financial decisions, and the organization carefully monitors the use of services through individual scannable ID cards, she said. The organization has even replicated its program in another Nairobi slum called Mathare and hopes to eventually expand to poor areas across East Africa. But no amount of progress makes it easier to deal with the trauma when a girl is raped. “I think there are still challenges that make you stop and realize how important and how necessary this work is and also just that it is really heartbreaking,” Posner Odede said. The final episode of the three-part series A Path Appears, featuring the SHOFCO founders, will air Monday at 10 p.m. on PBS.